Last time I hosted a brunch, I was reminded of how simple it all can be. All you need is a pitcher for mimosas, some light snacks, and a place to sit outside and gab. I always wonder, however, what I should be wearing. Is brunch something to dress up for, or dress down? Casual or not-so-much? Cute or classy? Though of course it depends on the brunch crowd you’re spending time with, these worrisome wardrobe questions can be mostly avoided by adhering to the true spirit of brunch. You’re going out with your friends to socialize. Dress comfortably, and if you want to add some sparkle, try an accessory or two. I’d recommend a bracelet. It won’t get tangled in anyone’s hair like a necklace or earrings, it isn’t easily lost like a ring, and it is within sight so as to be admired, unlike some ankle jewelry or toe rings. It’s the perfect brunch showpiece because you’ll be subtly showing it off every time you raise a glass or bring a spoonful of delectable fruit to your lips. The beaded bracelet by Sonysree Creations is the ultimate in classic, elegant jewelry without being overt. Not only is it a simple pattern, it is easily customizable to your tastes. Seed pearls, statement beads, and a toggle and clasp are the main ingredients and can be re-mixed into various bracelets that are perfect for every time of year and every conceivable occasion. Not only does this bracelet look good on your wrist, it would also make a lovely present for friends, family members, teachers, and other people in your life that you want to show appreciation to for their involvement. And if you’re wondering what else you can use these bracelets for, you can forego the jewelry aspect and use them as bookmarks, shorten them down to ring and napkin ring size, you can utilize them as a wrap for curtains, etc. However you choose to use this free tutorial, the DIY beaded bracelet will rise to the challenge and provide many hours of enjoyment. You can find the materials needed for this project online at sites like Amazon, or you can visit your local craft and hobby store such as Michael’s or Jo-Ann’s. 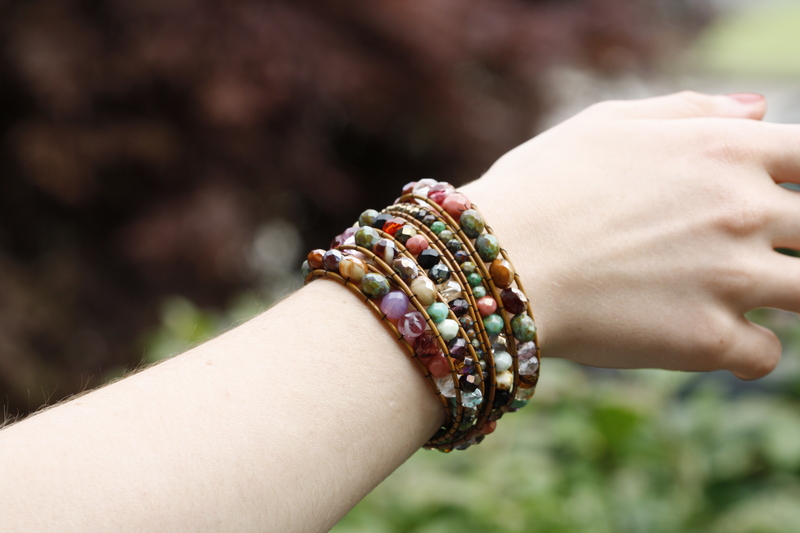 If you’re a member of their rewards program, you can even shop for what you need when things are on sale and make a few bracelets for the price of one. 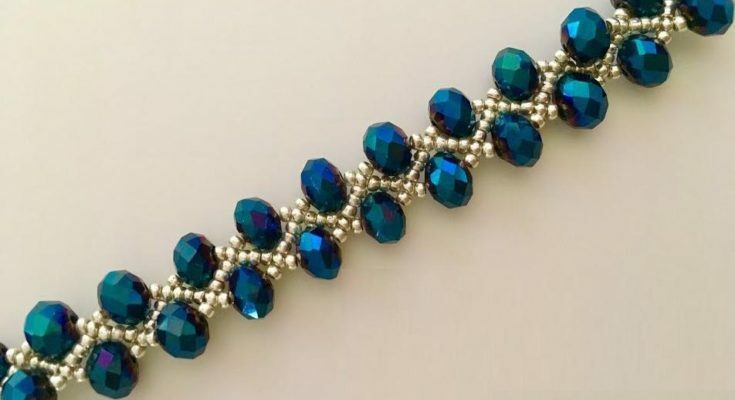 If you haven’t yet, we highly recommend that you check out the video tutorial for the beaded bracelet on Sonysree Creation’s YouTube channel. You can also follow her on her other social media accounts on Facebook and Instagram. If you like this DIY video, you’ll want to subscribe to her YouTube channel for more jewelry and beading tutorials. You never know when you’ll need a new accessory for your next big event, whether it’s a girl’s brunch or for the bridesmaids at your wedding.